Do you love the 80's? Miss the disco 70's? Or just don't get that same feeling listening to your favorite tunes on the iPod that you did from vinyl? RetroTunes works with the songs & album art in your iPod music library. Just start up your iPod or choose songs to play directly from inside the app, and you'll be spinning away. 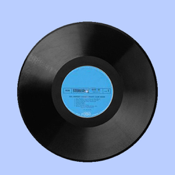 - Automatically retrieves album artwork and makes an album cover & record with matching label to spin on the turntable. Or creates a custom 8-track tape with album art on it! - Seamless access to all the songs in your iPod music library. - Detects songs you are already playing on the iPod or lets you pick your own songs to play from within the app. - Fully animated turntable- the record spins, the arm moves, record albums fly in from offscreen and the record gently settles onto the turntable. - Skip to the next or previous song , fast forward/rewind and play/pause. - when you play your songs with real album art, you'll see the actual art going round on the record. Generic names are used in App Store screen shots for copyright reasons. Suggestions or feedback? Email us at support@mavericksw.com!